The concept of mechanical integrity is written into numerous federal and state regulations. The U.S. Environmental Protection Agency, for example, has codified mechanical integrity rules into its 40 CFR 144 “Underground Injection Control Program,” while the Bureau of Ocean Energy Management, Regulation, and Enforcement has its own mechanical integrity rules as they relate to safety and environmental management systems (SEMS) via 30 CFR 250.1916. States rich in oil and gas like Colorado (PDF), Montana, Pennsylvania, and Texas have also legislated mechanical integrity testing into their laws. 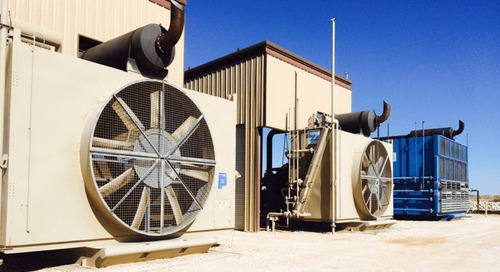 Though those regulations vary slightly, the general idea behind mechanical integrity assessment is similar: to ensure the equipment used in oil and gas recovery and processing is fit for service. By extension, this means the equipment is safe to operate for personnel and the environment — including underground drinking water sources — is free from contaminates. Of course, this is easier said than done, requiring significant planning, preparation, and assessment. Pipe corrosion and thickness must be monitored, testing systems developed, documentation created, equipment upgraded or modified, risk-based inspections implemented, and deficiencies corrected. Verification and assessment of all these processes must be made as well to ensure the mechanical integrity program is working optimally. As with other aspects of oil and gas production, some producers are turning to software systems to optimize their mechanical integrity programs. Entities like MISTRAS Group, SGS, and Siemens have developed their own integrity management systems and services to aid with pipe stress analyses, corrosion monitoring, asset tracking and analyses, and risk-based inspection management. Mechanical integrity management systems are also useful for meeting electronic reporting requirements, such as the quarterly requirements mandated by the state of Pennsylvania (PDF). The post Mechanical Integrity Vital to Entire Oil and Gas Chain appeared first on Audubon Companies | Engineering, Field, Pipeline, Onshore and Offshore Solutions.